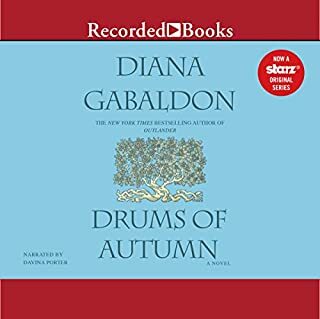 Thank you so much for obtaining the unabridged version of Drums of Autumn. I was soooo immersed in the lives of Claire and Jamie but the abridged version, which I purchased, was like replacing fine wine with Kool Aid! I immediately asked when you might have the unabridged version and you listened to me. Here it is! In addition, Davina Porter has become the voice of Claire for me, so it's incredible to have her back in this version. Again, thanks again...this is like opening a surprise gift!